Main Edition: Limited to 500 prints world-wide. Signed by at least 60 Habu Aircrew. Artist Proof: limited to 75 prints world - wide. 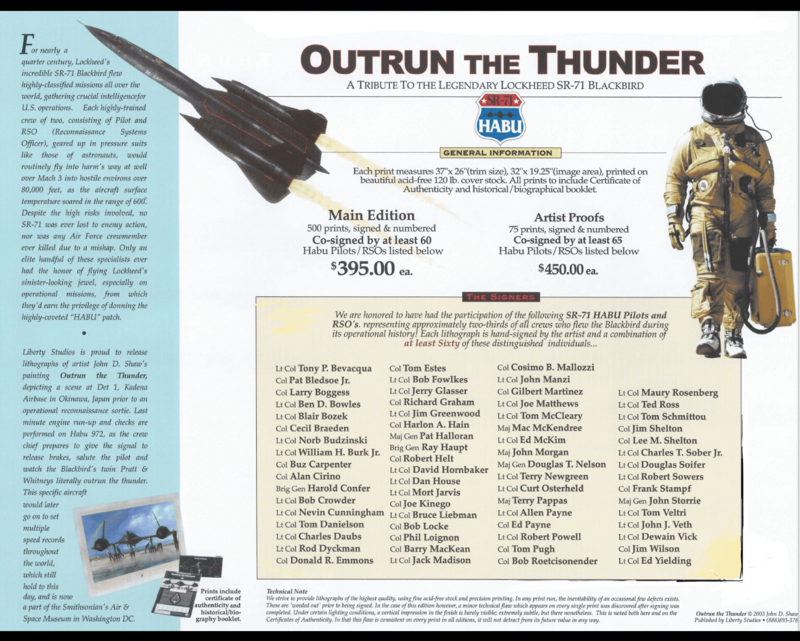 Signed by at least 65 Habu Aircrew.